Have you ever thought to greet your home the minute you walked into it? Or have you thought to say thank you to your shoes for their hard work at the end of the day? Probably not, correct? 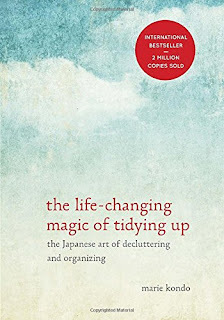 Well I just read this book, The life-changing magic of tiding up the Japanese art of decluttering and organizing, and it has opened my eyes to the way I live and the items I choose to surround myself with. The author, Marie Kondo, has created her own method to tidying up and has named it, the KonMari Method. The KonMari Method is a new way (at least for me) to tidy up. Marie even refers to this method as the same as meditating by a waterfall, which totally intrigued me since I really enjoy meditating. 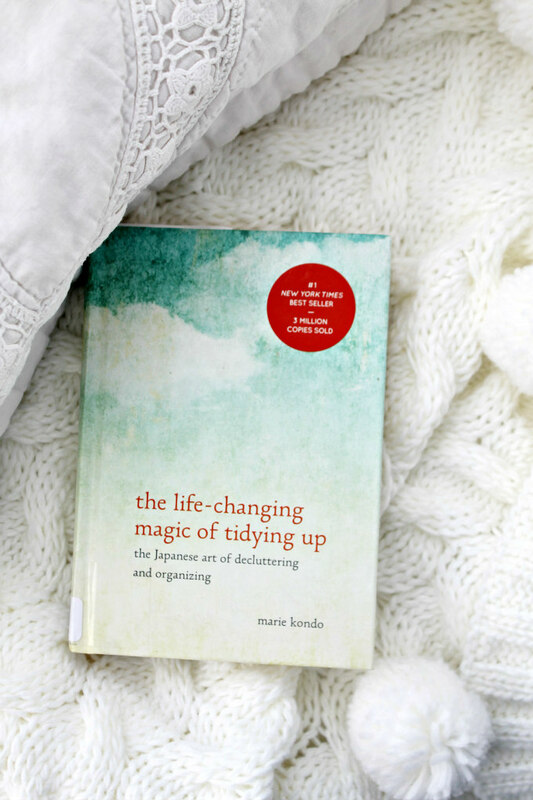 So the minute after reading this book I was super pumped to start tidying up our home. The KonMari Method of tidying means to take each item you own in your hands and ask yourself whether in sparks joy in your heart and then decide on whether or not to keep it. There's a lot more to it, so I'd suggest your read this book for yourself. And apparently, Marie Kondo wrote a second book called, Spark Joy, I haven't read it yet, but I plan to. 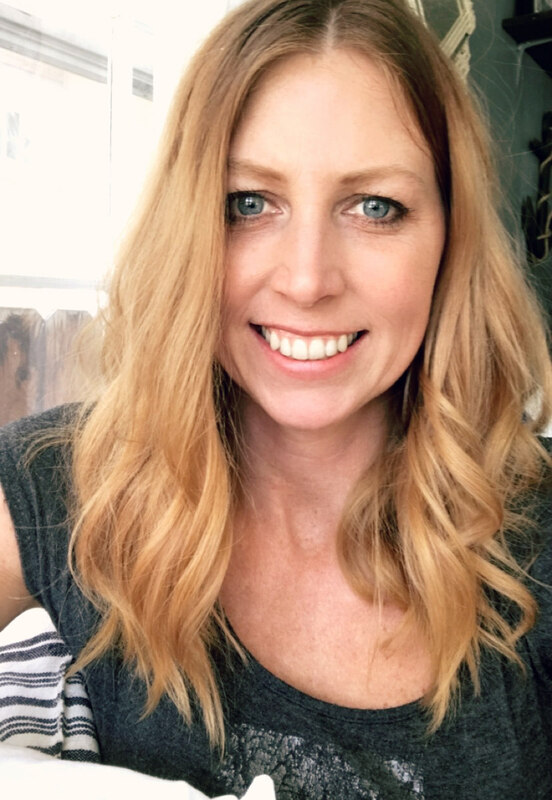 So I thought it might be fun to bring you along on my tidying up journey and share a few before and afters with you. 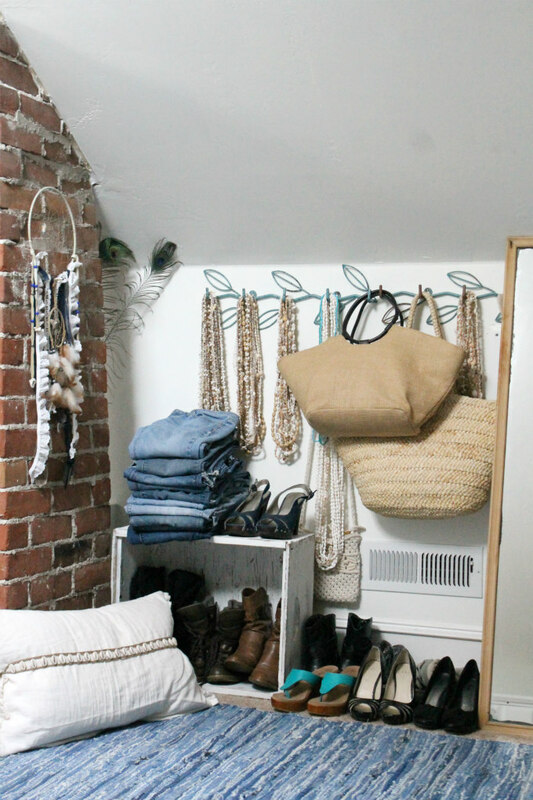 In today's post I want to share how I have decluttered my closet. And in my case, I don't actually have a closet but instead I have a cool antique clothing rack in a corner of my bedroom. I also have a dresser for the clothes I don't hang up. As you can see, my clothes were all kinda just stuffed in the drawer. Embarrassing I know, but it's the truth. So here is what I did. I washed up all of my dirty laundry, and then gathered up all of my clothes so everything I owned was in one spot. Next, I piled my clothes on the floor one category at a time; shirts, pants, dresses, socks, underwear, and etc. I then went through every piece of clothing and decided weather to keep it or not. This was not an easy thing to do. Some items I would have to try on first and even wear for a while before deciding. However, in almost every case I would end up taking the item off and placing it in the discard pile. Other items just made me smile the minute I looked at them. That is what we are after here, keeping only the items that bring you joy. In the end, this was my donate pile.... So I'd say I did fairly well! I remembered to thank each item for serving their purpose and then I took it all to the Goodwill. My tanks and tees got folded the correct way (As Seen Here) and placed in drawers. I love how now when I open up my drawer I am able to see all of my shirts at once. I also couldn't believe the amount of extra room I was left with using this folding method. To learn how to fold all of your clothes, just search "KonMari fold methods" and you will find a youtube video showing you how. As for my "closet" it now looks so much nicer and slimmed-down. What is left hanging is only the clothes I like to wear and nothing I don't. I must admit, I'm pretty proud at my accomplishments. It really felt great to donate so much stuff that wasn't bringing me joy. I want to keep my closet tidy so at the end of the day, I put my clothes away where they belong. My clothes don't like to be hung on these store hangers. Seriously, they told me that. So I got rid of them. 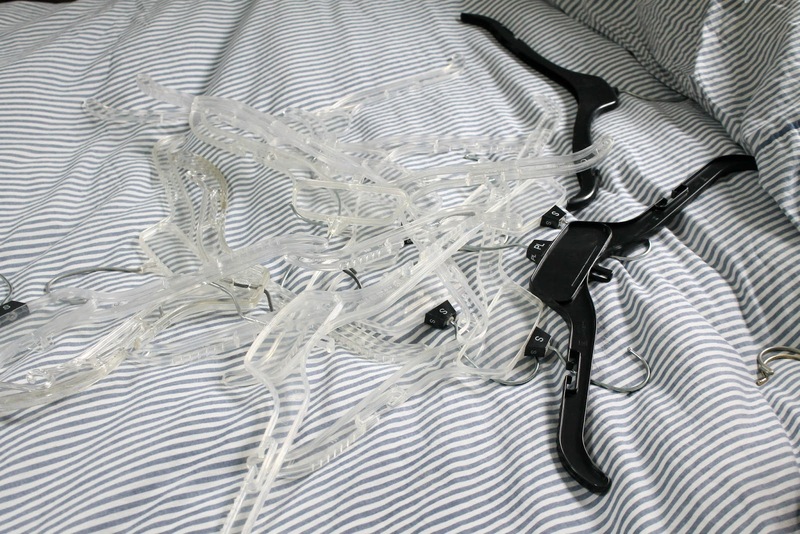 I now only use white plastic and velvet non-slip hangers. 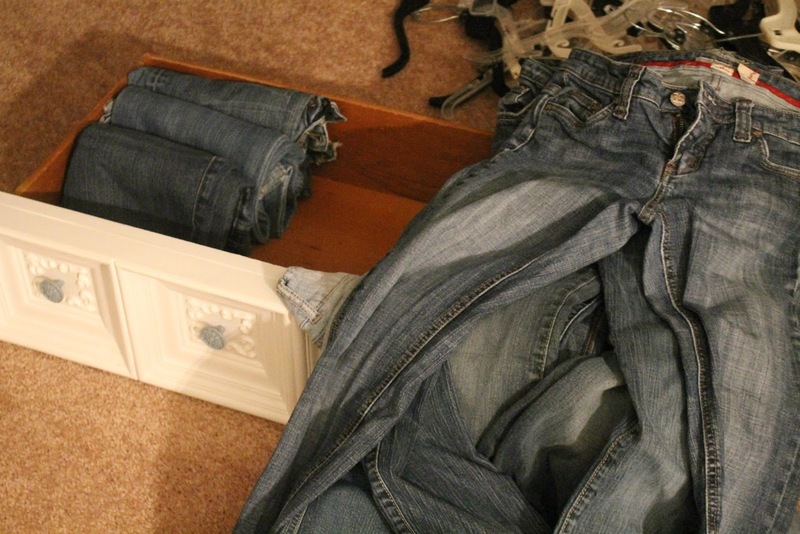 The KonMari method would be to have your jeans folded just so and placed in a drawer like this. However, I couldn't do it. I felt like it was hard to tell my jeans apart. I also really have a love for denim and like to look at them. Weird I'm sure, but I'm happy with them out in the open, stacked in a neat pile. I couldn't get rid of very many dresses. I hardly ever wear them, but apparently they make me happy. 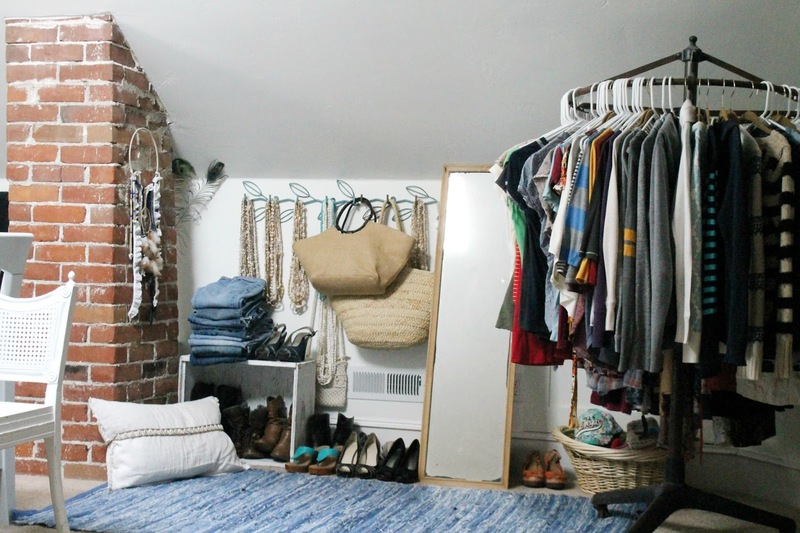 This decluttering method is suppose to make you want to shop less. But for me, all I wanted to do in the end was go shopping for more clothes that could bring me joy. I also knew what items I could use more of, which for me are T-shirts and cuter pajamas. So now that I'm done with decluttering my closet, it's time to move on to the rest of our home. So stay tuned for more to come. 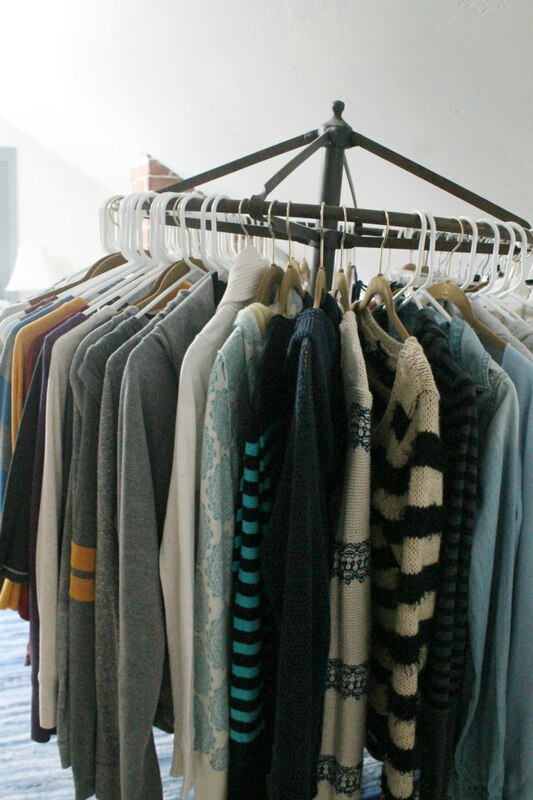 cleaning out our closet can be hectic but its totally worth it in the end. it gives me satisfaction and piece of mind! your blog posts are amazing, take care and smile more. Hi Emily, just wondering if I might be able to use your book image in this blog post? Thank you so much!